The Royal Grenada Police Force (RGPF) is seeking the assistance of the general public in locating a 37 year old farmer of Concord, St John. Gerald Nicholas, alias “Mucho” is wanted for questioning in connection with a chopping incident which occurred on Tuesday 8 April 2014. 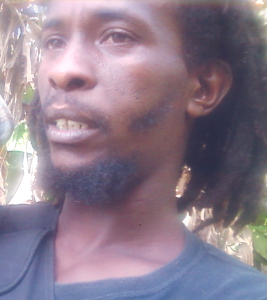 Nicholas is 5 feet 11 inches tall, medium build, dark in complexion with dreadlocks hairstyle. Anyone with information on his whereabouts is asked to contact CID at 440 3921; police control at 911 or the nearest police station. The RGPF advises that Gerald Nicholas, alias “Mucho” is armed and dangerous and should be approached with caution.